One lesson of many lessons I learned from my father was to talk straight with people. It may surprise people to speak frankly, but ultimately it is a more efficient and honest way to communicate. People appreciate that. David Gasparyan is the President of Zero Parallel, the leading Digital Marketing Network that provides an unprecedented experience for Affiliates and Advertisers. 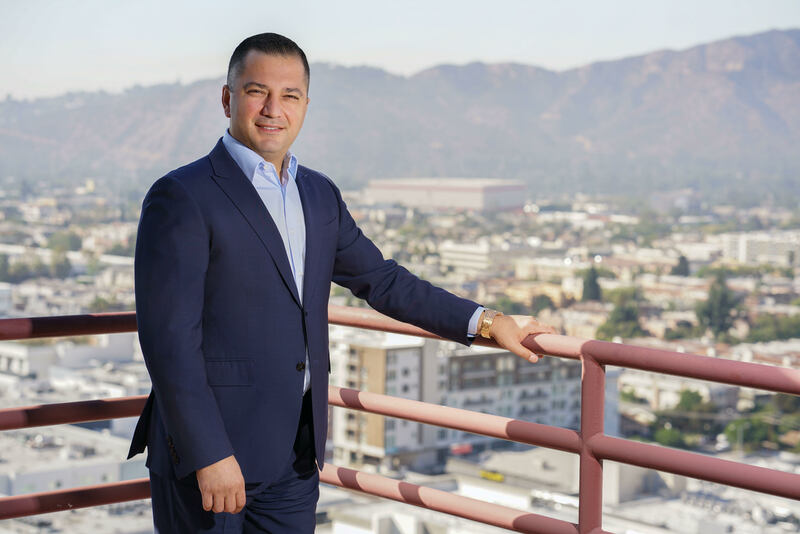 With over fifteen years of extensive experience in the lead generation industry, David Gasparyan has been the driving force behind the success of the organization. I started in the digital and affiliate marketing world over fifteen years ago. At the time people knew the internet was a powerful resource but few had fully grasped its potential. Google was only a few years old then. Mobile phones were still just phones. It was clear that there was a tremendous potential for people to use the internet and digital marketing in new and exciting ways. Once I started in the affiliate marketing space it became obvious to me that the sky was the limit. The most interesting thing that has happened in my career is that I’ve seen small things get big, and that’s what I consider being the most interesting or important story I can share. In that time, I have seen instances where the competition is watching your every step and trying to copy you; it really becomes funny. The biggest challenge I’ve always faced is finding the right employees and helping them excel in predetermined positions. It’s difficult to fit people’s qualifications and personalities into a company they have never worked in, with people they have never met. It’s even more difficult having to let them go when they are unable to perform well. However, what I discovered is that talent should always be welcome, even if the position is not available. I learned that finding the right people and allowing them to use their strengths and skills is more important than having the right position and trying to compartmentalize someone into that particular position. Leadership begins with having a vision, then assembling the best possible team to turn that vision into reality. It’s not about doing everything yourself, but rather having a team you trust enough to work on specific goals so that you can stay focused on the initial vision. When it comes to others being inspired to lead, it goes back to trust. If you trust others to handle keys tasks, you give them confidence which is essential for them to have their own visions of success. If you can’t bring yourself to trust your employees in a way that lets them solve problems on their own, then they probably aren’t the right people for your team. I make sure I have confidence in every team member. I learned a lot from my father. From a young age he taught me the value of hard work and speaking with intention. One lesson of many lessons I learned from him was to talk straight with people. It may surprise people to speak frankly, but ultimately it is a more efficient and honest way to communicate. People appreciate that. Building a successful business is extremely difficult, and it’s almost impossible to prevent work from becoming a topic of conversation during the very little amount of personal time I have. However, having a family that supports me and shares my passion is one of the most rewarding aspects of my life. I happily enjoy the fruits of my labor with them. It could be overwhelming at times, especially when we would find ourselves busier than we could have ever imagined. But we need to be able to take advantage of opportunities when they come around. Still, it is important to have a strong and supportive family who understands that long hours and busy days will be good for us in the long run. Plus, family will keep us grounded, and no matter how busy we get, we have to make time to spend at home. Can you share some advice to other leaders about how to achieve the best balance between work and personal life? First is to set a schedule- know where you are supposed to be at all times. It can be flexible to handle changes, but if you don’t have a schedule you’ll likely miss important moments at work and home. On that note, flexibility is key. Especially with a family, things are unpredictable and you need to be ready to change plans. Stay focused on the most important tasks — getting bogged down in lesser details is the first step towards putting your work-life balance out of whack. Finally, be self-aware. Know and accept your strengths and weaknesses. If you know you like to work late and could miss a lot of family dinners, make a point of it to be at every breakfast. If you’re not honest with yourself it will be difficult to ever achieve that balance. Every day I am proud of our amazing team and the strong company we have built. Few things are as satisfying as seeing the people you have worked with and given free reign achieve goals that have been set out. From our technology to our impeccable reputation, it all makes me very proud. You never know what your idea can trigger. I think everybody could be better served in their lives if they were both more honest and kind. You have to be honest with people: in many ways, trust is the only way to truly build something great. But you also need to show kindness and empathy. Appreciate hard work. Celebrate achievements. Examine failures. If people found ways to be kind and honest I think everyone would get along better and you could strip away a lot of the problems that occur in the world. I primarily use LinkedIn because it lets me connect and keep up with industry peers.